For this clinic, we had a team from all over the United States, and a few international members as well, representing China, Canada, and Great Britain. We had three core optometrists that were with us all week including myself. 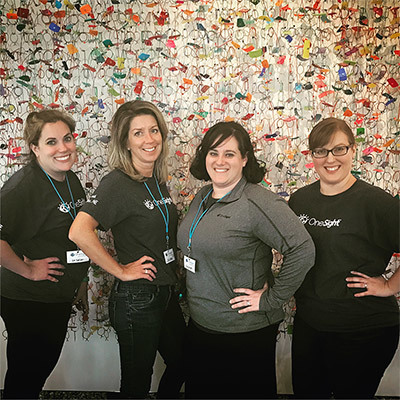 Dr. Linda Morgan is an optometrist at Children's Hospital here in Omaha and Dr. Sarah Dierks is an optometrist that leases space at a Target Optical in Wisconsin. It was fun to have a wonderful team of core doctors. 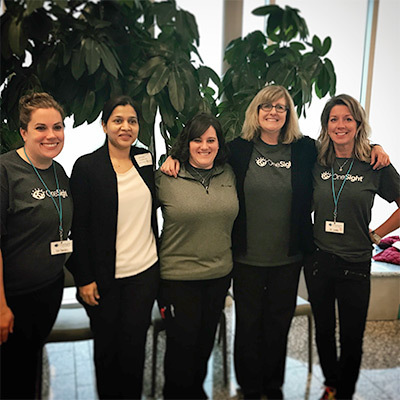 Because we need at least 5 optometrists to have the clinic run smoothly, we also recruited the help of some Omaha-area volunteer optometrists. I'm so thankful these wonderful doctors gave up time in their own practices to give the gift of sight to Omaha kids who need it most. Many of you may recognize them or their names, so if you see them, make sure to tell them thanks for being involved in the community! So, what are the stats for the clinic you ask? Well, in 5 days of seeing patients, we performed a total of 672 exams, and only 151 of the kids wound up not needing a prescription. That is, just over 77% of the students we saw needed exams. Of the 486 pairs of glasses needed, all but 38 were made on sight on the van and delivered to the student before he/she left clinic. The 38 pairs that were outside of our prescription range were made at a larger lab and were delivered to the students at school. We also caught major eye health concerns in about 40 students. These students were referred to a specialist for more detailed evaluation. 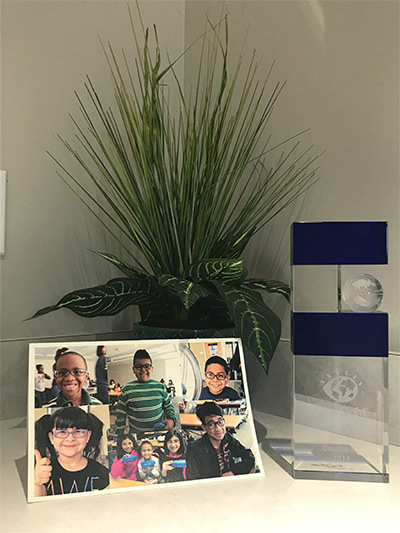 For many of the students, this was their first pair of glasses, so we have offered to do a complimentary prescription check in a month or two to make sure they are adjusting well to the new glasses. 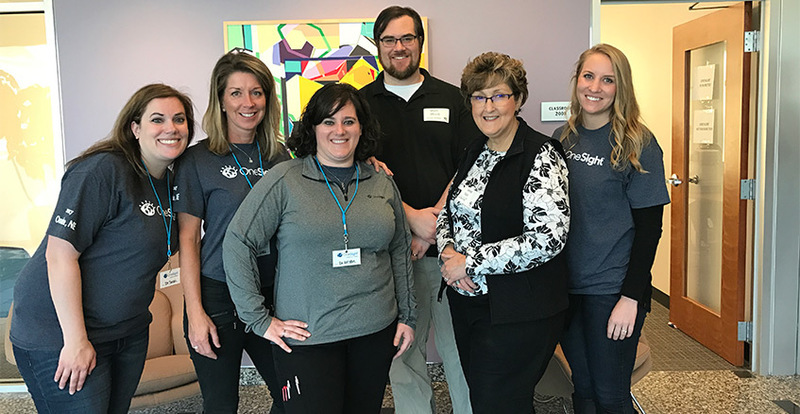 Typically, when a city hosts a OneSight clinic, OneSight comes for two years to get a good jump on getting kids the vision care they need. Then, OneSight will partner with organizations within the city to establish a sustainable clinic, or help them set up a charitable clinic of their own. 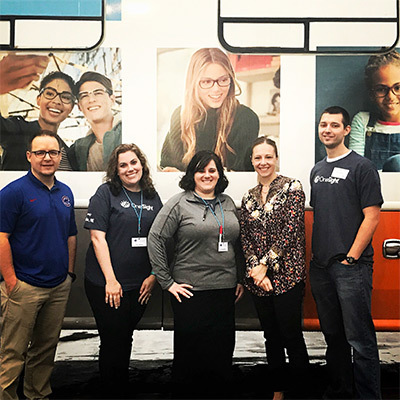 The sustainable clinics are a permanent (as in inside a school building) or traveling (like Eyelean, OneSight's van that travels around the country). The sustainable clinics are staffed full-time by an optometrist and sometimes opticians as well. Sustainable clinics area able to bill insurances for those who have them and can also do pro bono work for uninsured students. Because they have a source of income, sustainable clinics are a much better long-term solution to providing access to vision care than having a week-long temporary clinic. 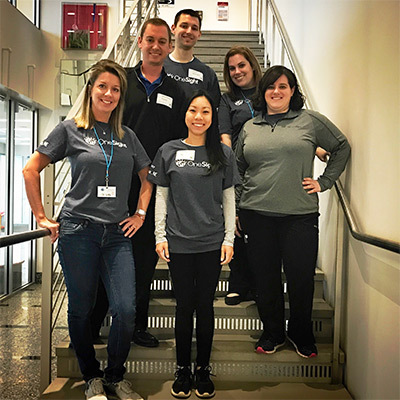 Building Health Futures was the clinic partner for both the 2016 and 2017 Omaha OneSight clinics and is helping Omaha Public Schools work to establish a long-term vision care solution. 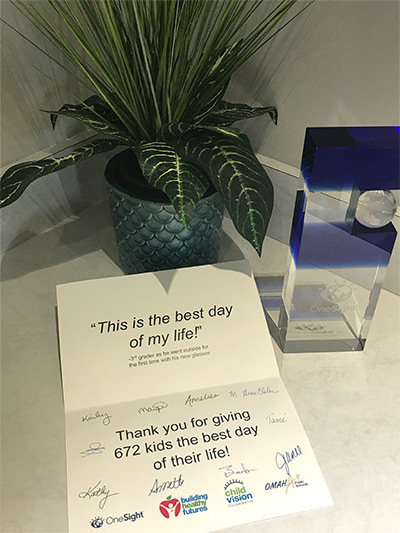 As an optometrist in Omaha, I can't wait to see what they come up with and hope to contribute in any way I can to ensure our community's students aren't struggling in school due to uncorrected vision. How can you learn if you can’t see? It really is a major problem for kids who may not have the resources to have an eye exam, much less receive a pair of glasses. At ModernEyes Eyecare + Eyewear, we are passionate about giving back to the community where we live, work, worship and play. If you have any suggestions for ways to give back, please let us know. We will certainly do what we can! Feel free to check out our Mission and Values page for more info on our passions and aspirations.